I work from your photos to create the perfect pet portrait, and send you updates as I paint your piece. Delivery in 2-3 weeks. Email or Upload reference photos and tell me about your pet portrait: is it a gift? A memorial? Part of a series? Choose a size that fits, and we can take a look together at portrait compositions based on your photos. I’ll send you updates during the pet painting process so you can give feedback until it’s just right. Painting and drying takes 1-3 weeks. Portraits are delivered ready-to-hang on gallery-wrapped canvas so they look fantastic with or without a frame. I paint all kinds of animals, including dogs, cats and horses. 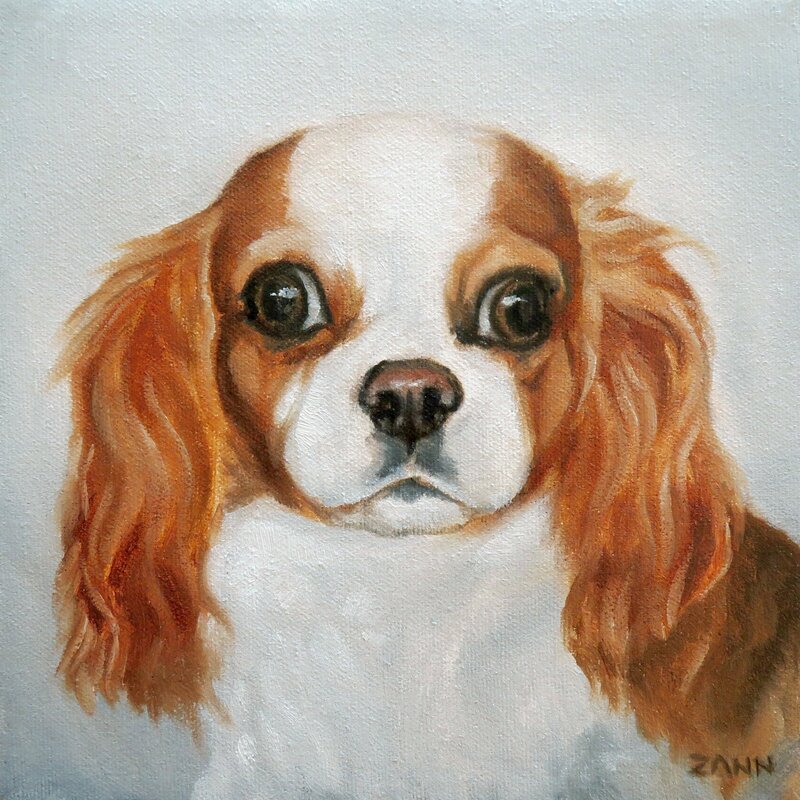 If you’re looking for realistic, life-like pet/animal art, I wholeheartedly recommend Zann. The entire process was extremely simple and smooth. Zann’s attention to detail shines through every stage of the process, from her planning stage (i.e., computer mock-ups of your painting) to the actual painting, she would always send me updates and made sure that the painting was to my liking. I was struck by how much the portrait really resembles our dogs and just how realistic it looks. With every detail carefully placed right down to the look in their eyes, Zann was able to capture each of their individual personalities. Even their unique husky facial "masks" are right on point. Very impressed with the craftsmanship, professionalism and overall experience I had working with Zann. 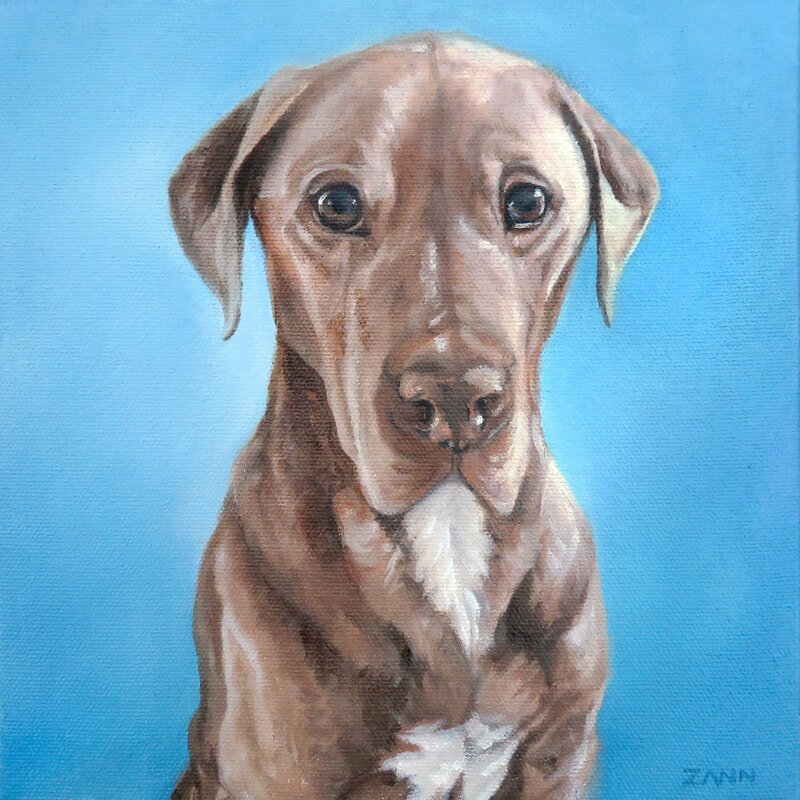 "There are several artists online, but after looking at Zann's portfolio, I knew I wanted to go with her. Her website, process and everything was so easy to understand. " "Zann was great! We worked on the right look and she really was able to show my dog's personality through the painting." "I'm absolutely thrilled with our oil painting portrait of our dog. Zann is professional, responsive to emails and phone calls, receptive to suggestions, and most importantly - artistically talented!" 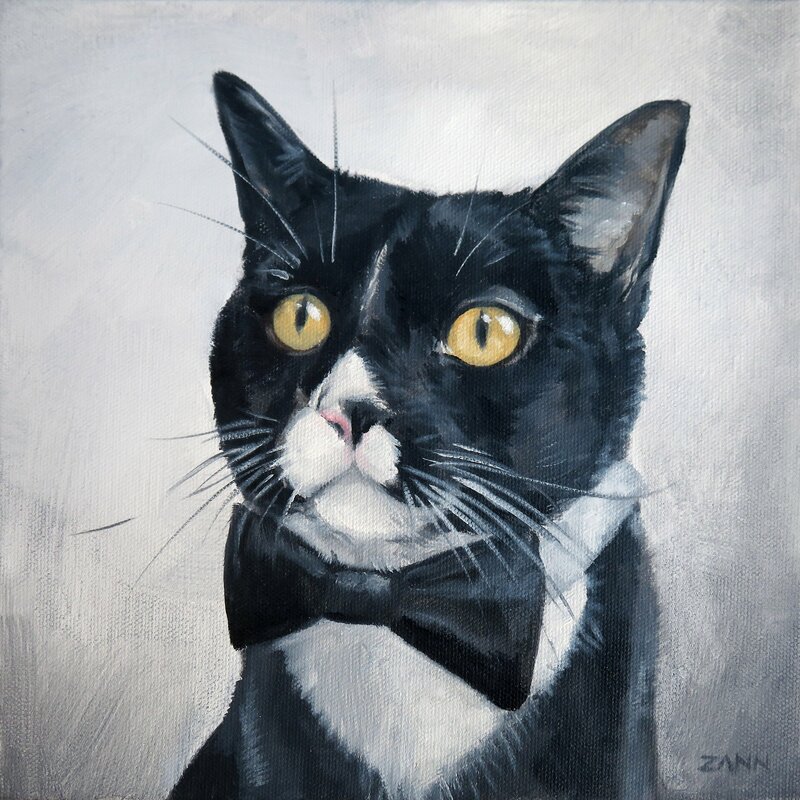 Zann is an Emily Carr Graduate who began her career as a portrait artist in Vancouver, BC. Since then she moved to Vancouver Island, living first in Nanaimo and now working out of her studio in Lantzville. 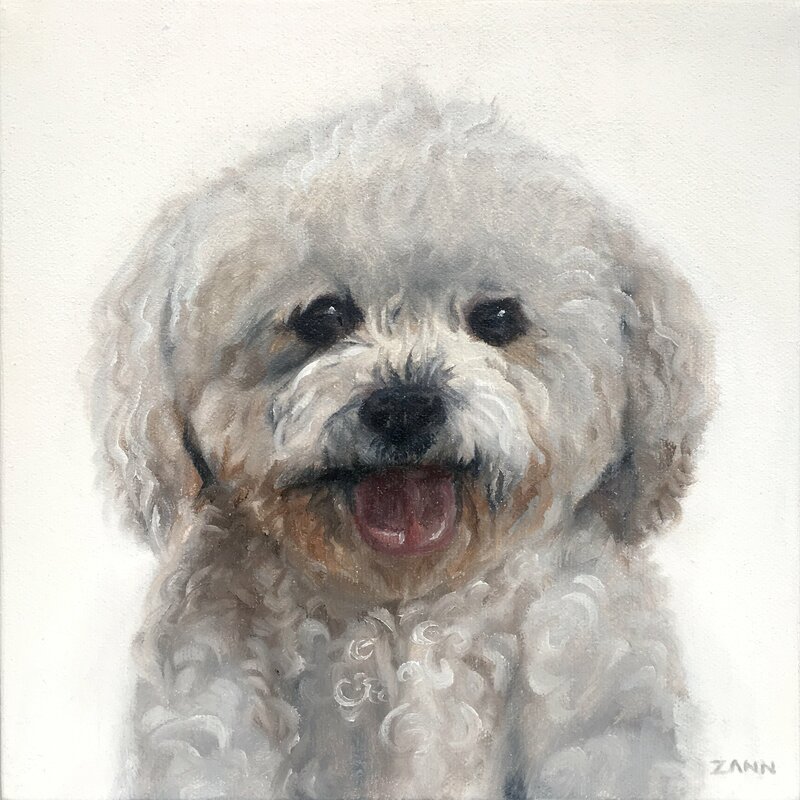 Zann works with local, national and international clients to create portraits of dogs, cats, rabbits, horses and other special animals. Zann is a member of the Nanaimo Arts Council, and is a supporting member of the Federation of Canadian Artists. I’d love to hear from you! Fill out a contact form or send me an email and I’d be happy to walk you through the process from start to finish by phone or email—I’m here to help.